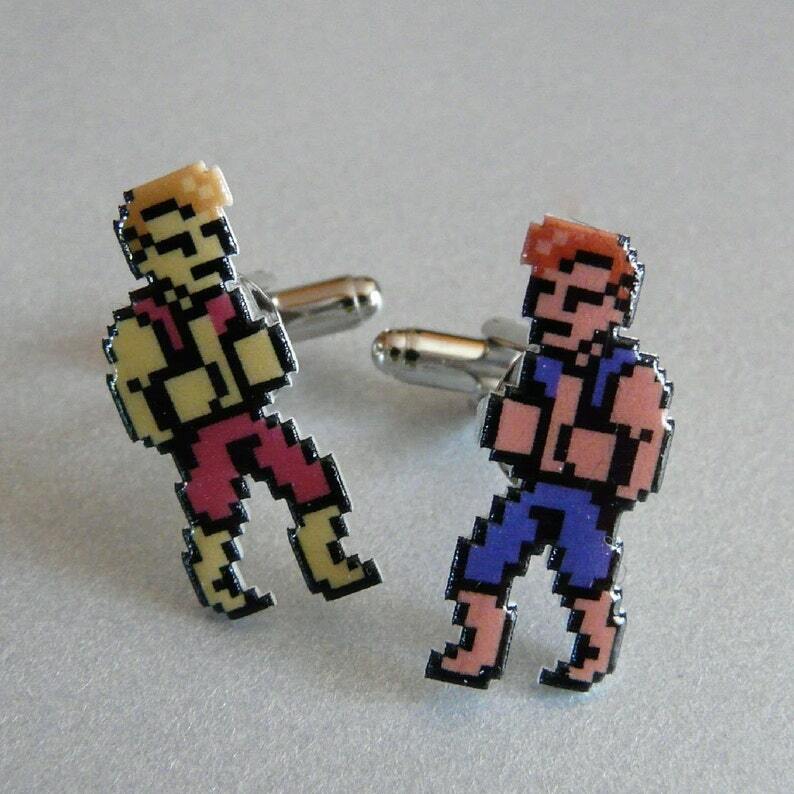 these double dragon cufflinks are made from shrink plastic and silver-tone hardware. the charms are 1/2" x 1". choose from billy (redhead) or jimmy (blonde) or billy & jimmy.